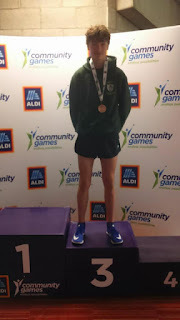 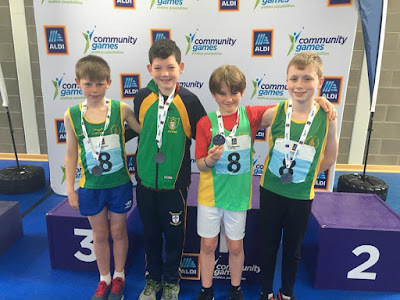 Ratoath Athletic Club: The National Community Games. In the 7k Marcus Clarke had a fantastic run to take 3rd place overall also running well were Matthew Hayes 7th in the boys and Hannah Slattery 10th in the girls 7k. 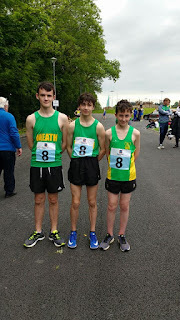 Brilliant performances at this national level competition. 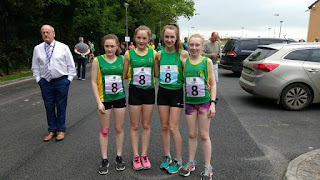 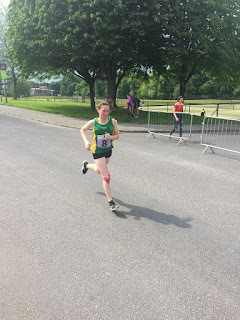 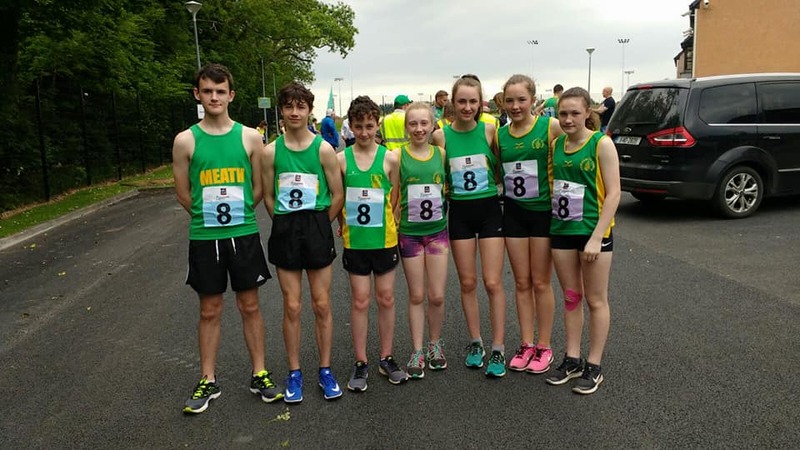 These athletes were also running for their county and their valuable position points went towards their Meath team who were awarded silver in the girls 7K and sliver for the Meath boys team. 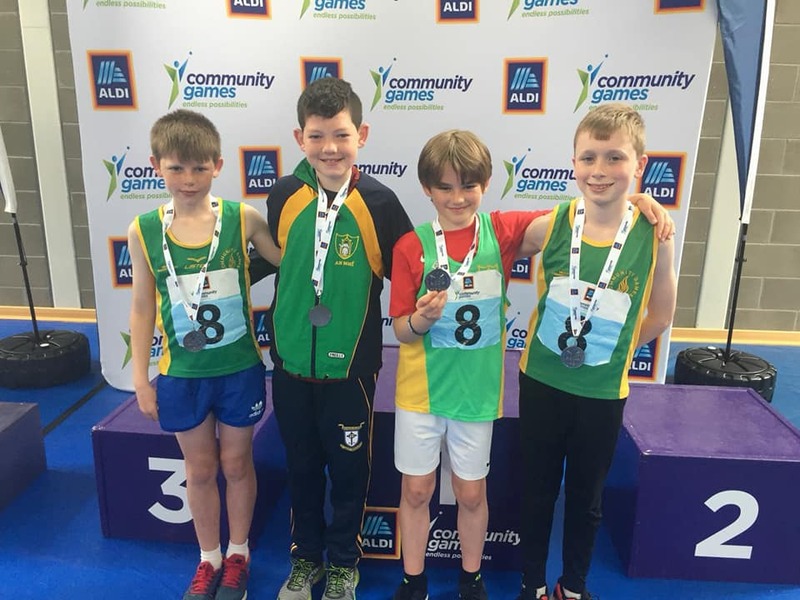 Well done also to James Kelly and Fionn Heffernan who were competing on the U12 boys Meath cross country mixed distance relay team along with Ruby Beggan (Tara ac) and Ciaran McCormack (Dunboyne AC) great run by all boys who finished on the podium in 4th place. 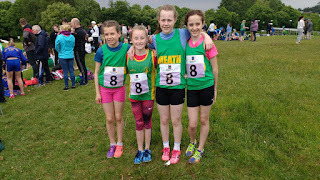 Kate Raftery was competing on the Meath U12 girls xc mixed relay team who came 5th in the final well done everyone.